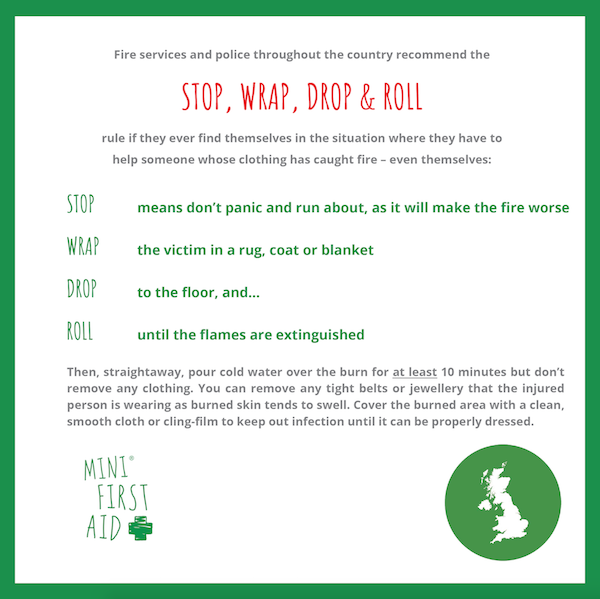 In line with National Burns Awareness Day on 17 October, we want to raise awareness of burn prevention and burn-related first aid. As well as the physical and emotional impact a burn injury has, the cost to the health service is huge. Exclusive data shows the NHS burns services treated more than 15,000 patients for burns and scalds in 2017 at a cost of more than £20 million. 'The Children’s Burns Trust', whose work is focused on children and their families, have highlighted that a significant proportion of burns and scalds are among children under the age of 5 where the most common cause of injury is from hot liquids, such as tea and coffee spills. Accidents like these are entirely preventable. Sunburn is a notable cause of injury in the 5 – 14 year age group, alongside seasonal activities such as fireworks and bonfires. The two leading organisations in burn prevention and support hope that by drawing attention to the cost of burn injuries to the NHS, that more people will understand the importance of burn prevention and good first aid, which are vital in reducing the number of injuries – as well as the pressure on NHS burns services. The most common place of injury is the home for children and the elderly, for adults it’s the workplace. The advice below shows what to do if a person's clothing sets on fire. 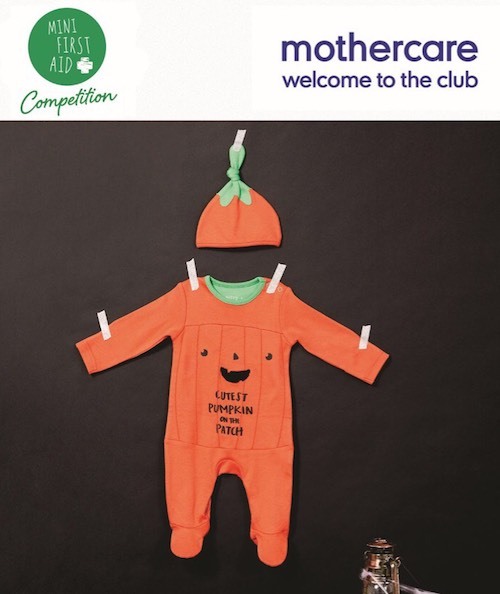 With Halloween just around the corner, we've teamed up with the lovely people at Mothercare to offer you the chance to win two of their fabulous Halloween outfits (aged 12-18 months). Your little one is sure to look frightfully fancy in either this cute pumpkin or cat outfit! 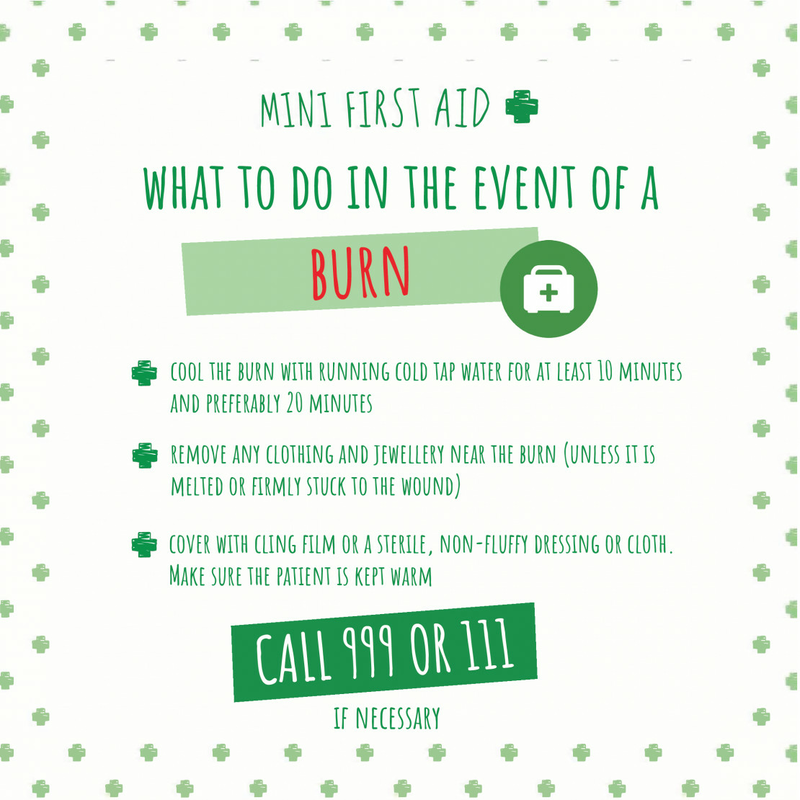 Click here to buy Mini First Aid burn gel and other Mini First Aid items in our shop.